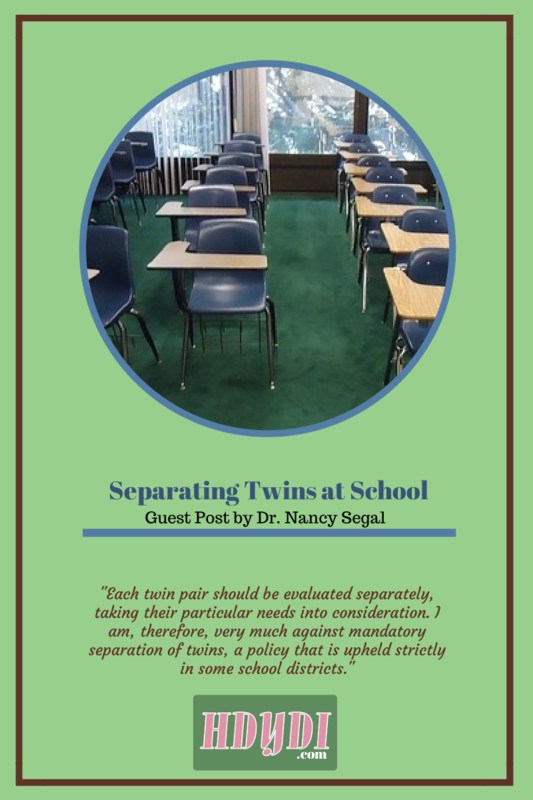 Guest Post: Separating Twins at School by Dr. Nancy Segal | How Do You Do It? Thank you for this post. I think a case-by-case basis is best and also would encourage moms to be advocates for their twins – strict policies do get changed sometimes. We always assumed that our twins would be together. They’ve been in the same class in daycare and have very independent relationships and identities. Our surprise was that we (and our twins’ teachers) are noting that our twin son is very advanced for his age some developmental milestones. We are not into testing, but thinking at this point it would be better to know and make an informed decision than not. advice? 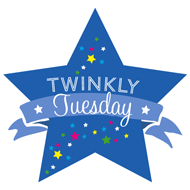 I HAVE TWIN IDENTICAL GIRLS AGE8, THEY SEPERATED THEM IN SCHOOL AND I HATE IT THEY HATE IT. WE ARE ALL UPSET AS A FAMILY AND ITS CAUSING PROBLEMS BETWEEN ME AND MY HUSBAND. WHY ARE MY TWINS COMPARED TO OTHER TWINS IN SCHOOL WHO EXCEPT IT. EVEN THE SCHOOL TRIP NEXT WEEK THEY HAVE SEPERATED THEM. SO THEY ARE NOT GOING! WHY ARE THEY PULLED APART, LET THEM DECIDE WHEN THEY ARE READY. Lyn, I’ve sent you an email to follow up. We’re happy to help any way we can! I need help. My fraternal boys were separated for their 2 years of pre K. It was very hard. One is a little more spirited and had a tougher teacher. We wanted them together, and they wanted to be together for their 2nd year of pre K but we were met with resistance and told to wait for Kgarten – they could be together. So I swallowed that gut feeling and saw my spirited son develop a facial motor tic and now also a vocal tic. I am seeing anxiety in him. We found out at the end of the year conference he was calling himself a bad boy and saying he was bad! That broke my heart!!! He has never said that at home. Then they told us the boys need different Kgarten teachers “because they have different learning styles and would respond better to different teachers”. They truly don’t know if they have the same learning style because they’ve never been given the chance to have the same teacher. I want them together so I know they have the same rules and more equal treatment. And when Matt feels nervous or feels he has no friends he can look over and see his brother. I am fearful for him. The superintendent took almost a month to “review all the data and info” but yet would accept none from us. We have a meeting next week to “discuss placement” – I am quite sure its not going to be to put them together. 2 other sets of twins going to Kgarten have been allowed to be together. So why not give ours the chance. I don’t want to always wonder “what if”.